This "My Mask Stash" post is masks from more than one week, but I wanted to post them together because they are all the masks from the special edition MaskGenie pouch, labeled "10 Days in the Wild." While these masks were received from MaskGenie, they are no longer available for purchase there, so I will let you know under each mask where you can currently find them. And if you follow me on Instagram - @samantha_blogs - you can see what I looked like wearing these masks too! Available at Memebox for $2.50 if in the US. This panda sheet mask is supposed to bring luminosity to your face by restoring dull and rough skin and making it appear brighter. This was a very soft mask with a lot of stretch. I found it fit a majority of my face well but it was cut strangely around the nose area. This was a very moisturizing mask. I would say that it did have mild brightening qualities, but it definitely made my face feel refreshed. This sheep sheet mask says that will make skin moist and active, whatever that means... The fit of this mask was great, the print was made perfectly, and it fit my whole face perfectly. This was a very moisturizing mask, it was an excellent boost for my skin. It was also cooling and seemed to help tone down some of the redness I was experiencing from breakouts. Available from Memebox for $2.50 if in the US. This otter mask is supposed to restore moisture to dry skin to make it moist and silky. This mask was very soft and stretchy, with a weird fit around the nose. This mask made my skin feel super hydrated and plump. The essence kept my skin feeling hydrated for the remainder of the evening but my face never felt sticky. This tiger mask is supposed to boost dull skin cells with elasticity to make skin radiant and resilient. The overall fit of the mask is great, and it fit around my nose well! This mask had a heavy fragrance so I didn't keep it on as long as I would have liked. This mask was cooling and refreshing for my skin, and provided a nice amount of light moisturization as well. Available from TesterKorea for 3,000won (roughly $3). This raccoon sheet mask contains placenta and adenosine; two ingredients which promote healing and regeneration when applied topically. The fit of this mask was perfect for my face. This mask relieved the painful swelling of the cysts I had from a hormonal breakout, and made my face feel softer and more moisturized. In the morning my face looked renewed and my acne was almost gone. This fox sheet mask indicates that it makes skin moist and active. This really was a very hydrating mask! This mask was loaded with essence, and it did soak in nicely without leaving my face sticky at all. This was a great mask. This dragon sheet mask is designed to soothe sensitive and red skin and make it healthy. This sheet mask was very soft and stretchy, and hugged my face nicely. This mask improved the look of my skin quite a bit. It eliminated the redness on my face, and my skin looked so much brighter after use. I was really impressed with the results of this mask. I was really excited for this one because snail mucin is my favorite skincare ingredient. It's moisturizing, soothing, renewing, and healing. It's played a huge role in combating my acne and it's helped with the signs of aging my face has been displaying as well. This sheet mask was very soothing and cooling on my skin. The fit was nice, maybe a little big, but the notches along the edges allowed me to easily fold it up to get a perfect fit. There was a very light scent, but honestly not too noticeable. This mask made my skin feel refreshed and hydrated after use. It soothed my red, irritated skin and helped calm my active acne. For a snail mask, it did not disappoint. I loved it! This penguin (or should I really just call it Batman) mask is designed to target the eye are to brighten dark circles, soothe puffiness and lines, and to hydrate the delicate eye area. This was a thicker mask but it was soaked in essence and stuck to my skin very well. It had a cloth-like texture that was easy to form and hugged my skin perfectly. I found this mask kept my skin hydrated and de-puffed for the day, and seemed to slightly lessen my under-eye lines, but not as much as I had hoped. It was very cooling and refreshing though. I enjoyed it a lot. This cat mask contained collagen, which I've heard such mixed feelings about. Some people think it really helps the skins' elasticity, others say it is an ineffective ingredient when applied topically. So when I used this mask, I wasn't sure what to expect. This mask wasn't overly effective unfortunately. Most sheet masks at the very least are hydrating, but this one did not provide much lasting hydration. I do think my skin was slightly firmer after use, but it left my skin a little pink too. Overall, I am really happy with this selection of masks. I enjoyed the fun prints, and while sheet masks are a staple to my skincare routine to begin with - these made it so much more fun and entertaining than ordinary sheet masks. 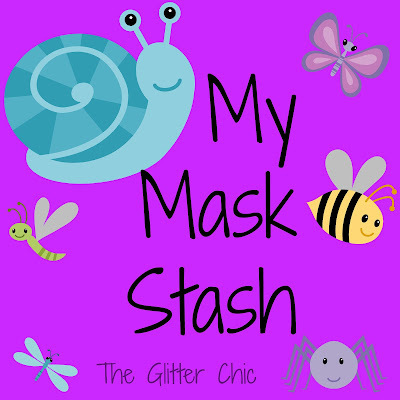 I am so happy that MaskGenie decided to put together such a fun collaboration of cute masks, and cannot wait to see what else she comes up with. MaskGenie is a monthly subscription that sends out a bag of either 5 masks for $12 or 10 masks for $22 - these prices include shipping, and MaskGenie ships worldwide! What I love about MaskGenie is that it gives you the opportunity to try new sheet masks that you may not have heard about before and some from different brands than what is most readily available to everyone. Be sure to watch the MaskGenie Facebook page for announcements about more special edition pouches, and for shipping notices about monthly pouches as well.